Welcome to Amigurumi To Go's first ever Crochet-Along! A CAL, (crochet-along), means the pattern will be released in parts according to a schedule. If you join in, you will post a photo of the part you have finished then wait for the next part to be released. We all finish the pattern together around the same time. Part 1: July 2-6 Gather supplies. Part 2: July 7-10 Belly patch, body and assembly. Part 3: July 11-14 Tail and tail decoration, sew to body. Part 4: July 15-18 Legs, feet, toenails, assembly. Sew to body. Part 5: July 19-22 Arms, hands, fingernails. Sew to body. Part 6: July 23-26 Head, parts for head, horns, spikes, assembly. Sew to body. Part 7: July 27-31 Wings, claw for wings, assembly. Sew to body. 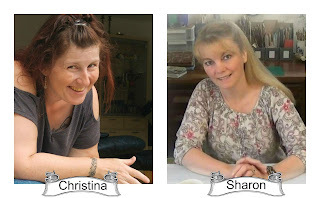 Sharon Ojala ~ Pattern designer. That's me, the one writing to you now. Christina Stjernholm ~ Danish translator. She has translated this pattern so our Danish speaking friends can join us! 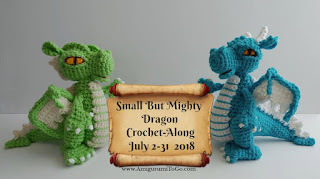 She has a group on facebook where she will be answering your questions and giving the instructions for this pattern in Danish. Join Christina's group here. 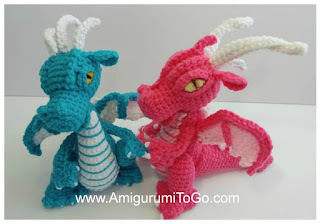 Every time a new part of the pattern is released, I will pin a post to the top of my facebook page, Amigurumi Freely. In the comments under that post, you shall add the picture of your finished part. Yes, I will be posting helpful videos along the way. I will fully explain anything that is out of the ordinary. Of course, I never want to leave anyone behind so I will include some basic stuff for the beginner, like how to do a magic ring and how to work across a chain. Update: Click this for the playlist on youtube. worsted weight yarn. I used Red Heart Comfort yarn, it is a 10ply acrylic. For you, my Friends in the UK, the yarn closest to this is Aran. I used less than 364 yards to make one dragon. White to make claws and horns. polyester stuffing. 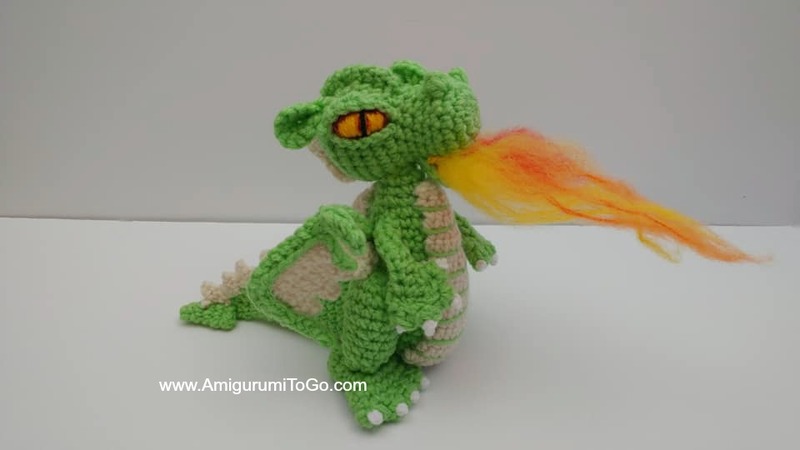 This is a small dragon under 8 inches tall, you don't need much. Choose a soft stuffing. The brand I use is called Eversoft and also Poly-fil. Both of these say "ideal for toys and dolls" on the package. It is a very soft and springy polyester stuffing that allows me to sew through amigurumis with no clumping. Please feel free to use any color combination and any brand of yarn you like. A lot of you fell in love with Anarya. She is my, Small But Mighty, pink dragon. I used Red Heart Comfort yarn to make her. Once you have gathered your supplies, go here. Post a photo of the yarn you will use to make your Small But Mighty Dragon in the comments and say you're in! Have fun and feel free to ask questions. How did you make the fire and what materials did you use. if you look in the date list, I tell you the "instructions for the fire is here" Click on the word here, you'll be brought to the fire video.